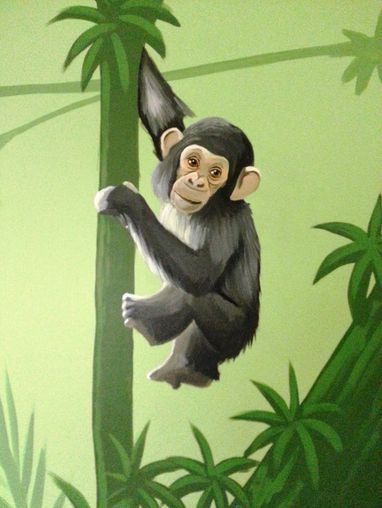 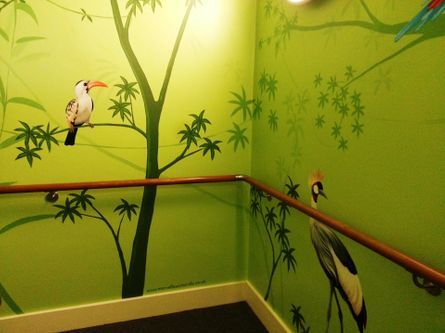 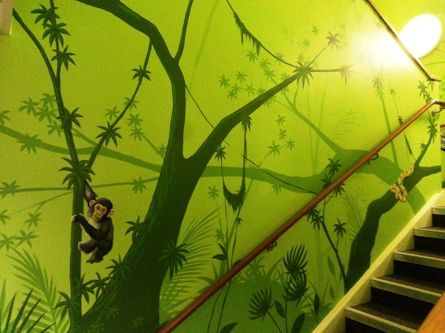 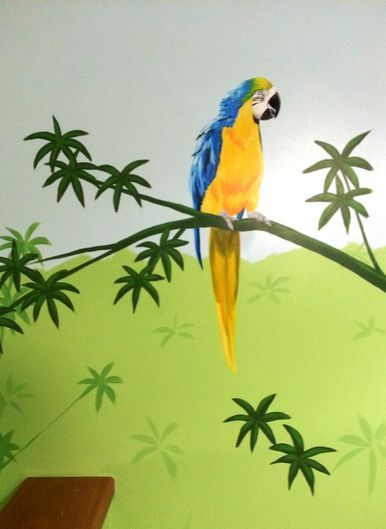 In seven days we transformed a plain stairwell at Wainscott Primary school into a colourful rainforest with various wildlife, a waterfall and Mount Kilimanjaro in the distance. 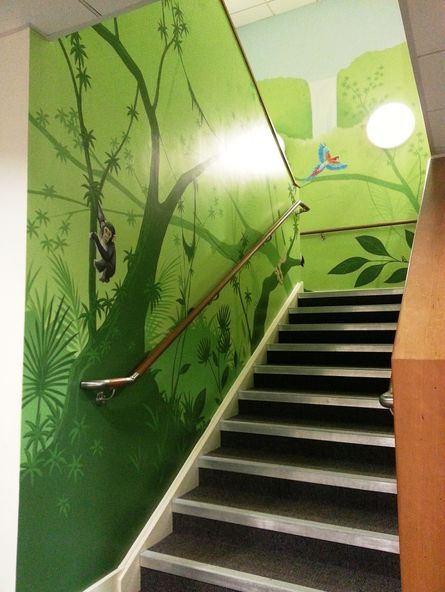 This really brightens up the space and also works alongside a lot of learning themes within the various year groups. 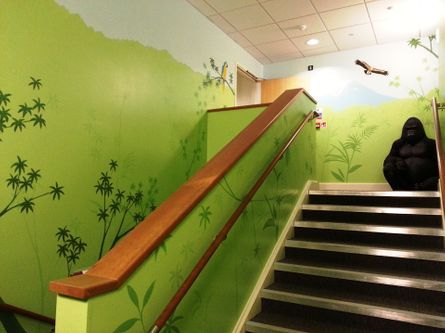 The pupils (and staff!) 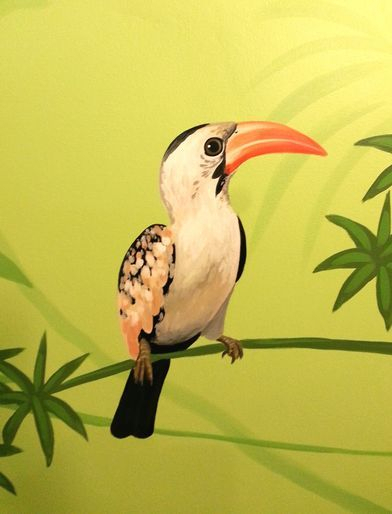 really enjoyed seeing the mural progress, with different animals being painted every day and various elements added to the background. 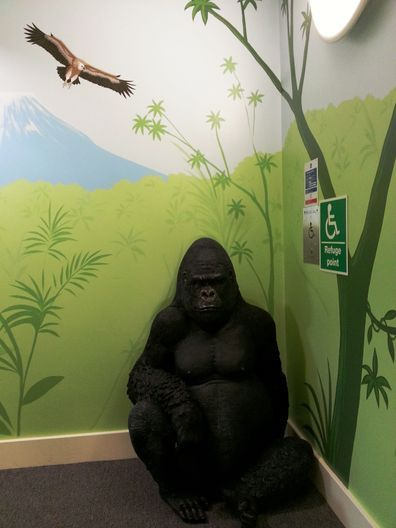 The schools life size gorilla model sits proudly at the top of the stairs in his new surroundings.